I worked on this one on and off, here and there, for about a year before I was finally satisfied with it. 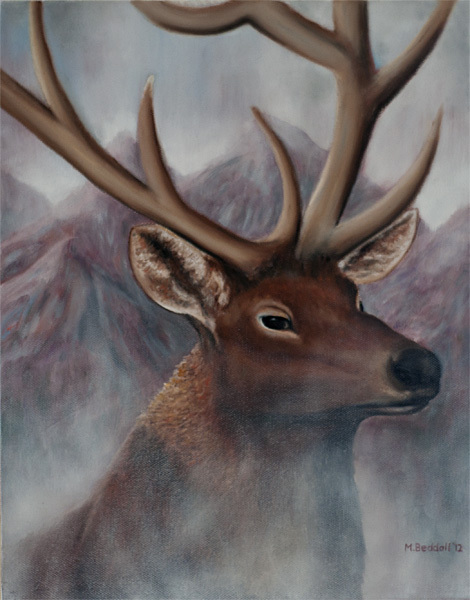 I wanted to contrast this with a painting of a deer I did about 15 years ago, which I gave to a friend as a gift. Surprisingly he still has it hanging at his cottage. It's one of the very few very early paintings I did that I know still exist (the others no doubt were put in the trash long ago). Anyway when I look at that early painting it still makes me laugh to see how bad it is. I don't have a photo of it so you'll just have to take my word for it. I guess I've improved somewhat!